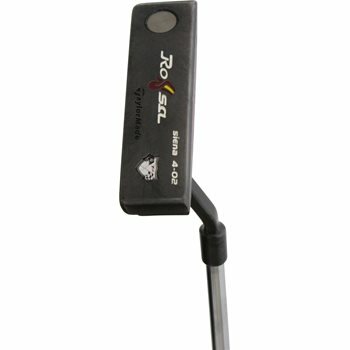 The TaylorMade Rossa Classic putter features a 304 stainless steel construction with a Midnight Black finish. AGSI+™ technology with 14 grooves positioned closer together, help to create smoother rolls for more accurate putts. The grooves are CNC-milled and polymer-filled for a softer, more solid feel at impact. The heel-toe weighting increases MOI for straighter results and more forgiveness on mis-hits.